One of the real joys of living like a local in the Cotswolds, is you have a base to explore this extraordinary region of England.It stretches over five counties taking some of the most beautiful little out-of-the-way spots. There are several different ways to explore. One is to have someone, a friend, relative to drive you around.While that will not always be possible, the next best is to do mini-tours on buses. There are lots of these to choose from.A tip, the larger the bus, as in 30-40 people, the cheaper the ticket. The smaller the transport (say six to 12 people), the more expensive. The ultimate is your own hire car. Probably the most expensive, but the most convenient. Some of the smaller villages in the Cotswolds are difficult to access by larger bus. There is simply not enough room to turn around and there are several tight turns. One of these is the Secret Cottage, a 500-year-old thatched roof cottage that is a working home. It has inglenook fireplaces used to heat the cottage, original elm planks on the stairs and heavy beams throughout. 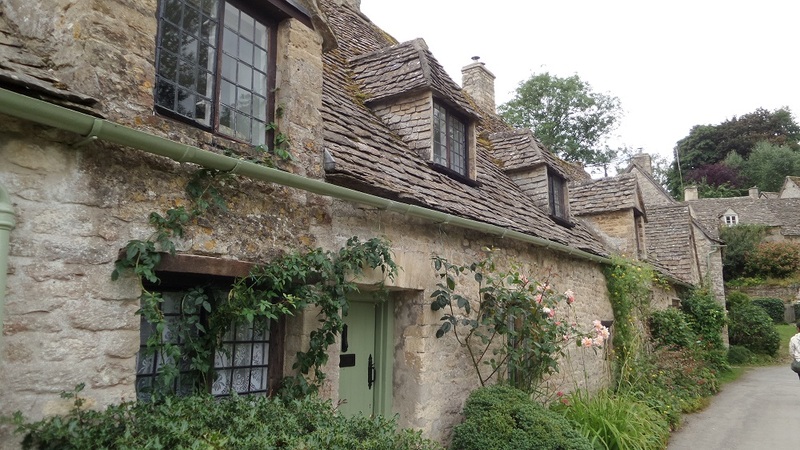 Run by the family team of Becky and Jeremy and daughters, The Secret Cottage Tour is restricted to a handful of guests who are picked up at nearby Moreton-in Marsh railway station in a luxury van and transported there. Inside the cottage visitors are treated to an intimate tour of what is essentially a private home. Becky shared with us that many of the guests, particularly from the United States, cannot believe that someone is lucky enough to live the fairy-tale cottage. 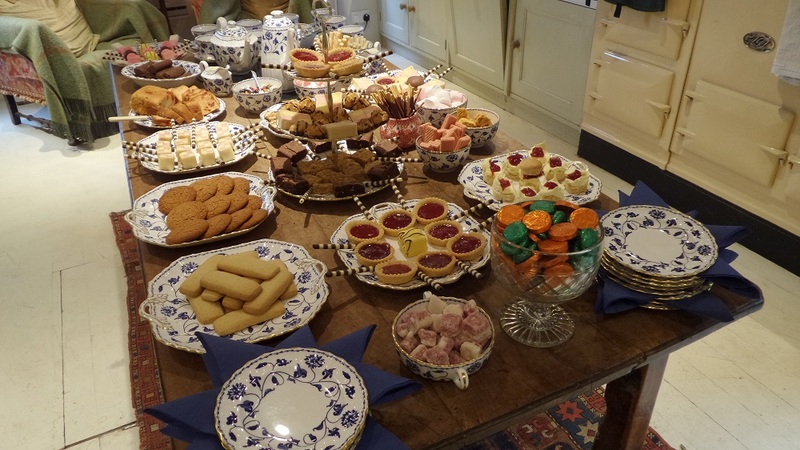 After visiting many of the attractions in the region, guests are treated to an amazing spread of goodies back at the cottage, accompanied by steaming cups of tea served in elegant crockery. The highlight for me was the delicious scones made on the Aga, a huge fire driven cooking stove so famous in farm kitchens. A couple of group photographs in the lush gardens and that was it for another day at the Secret Cottage. One of prettiest little villages is Great Tew. 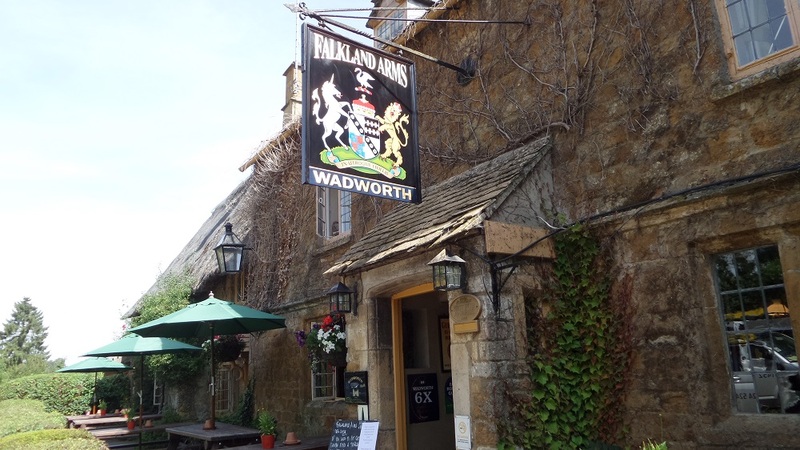 A stunning enclave tucked away from broader view, with its honey-coloured stone cottages and other buildings, (like the stylish local pub) typify the Cotswolds. It truly is like a walk back to another era. While you are standing in Great Tew’s slender main street, it is easy to imagine your calendar says 1830-something! 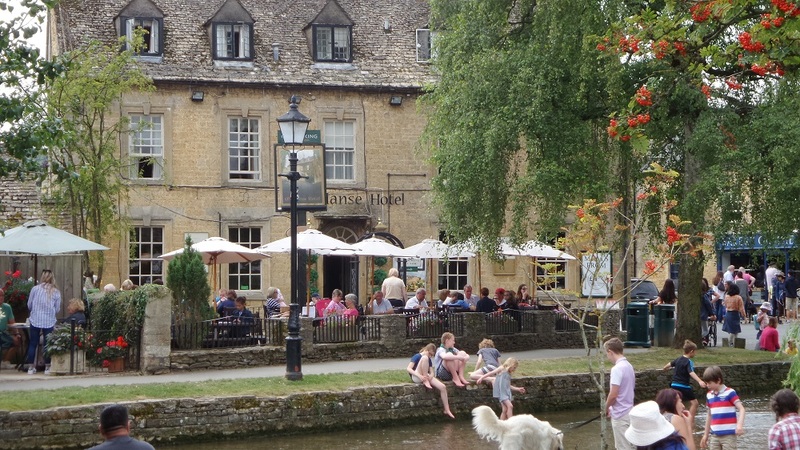 Moving on through the district, you come to Bourton-on-the-Water. This is another must see village. At the height of summer, the village is heaving with tourists, all keen to fill up their senses with scenes of the past. With a gentle stream running through its centre, the biggest challenge is getting a car park! The cluster of charming villages continues with one of the most famous scenes in the United Kingdom at Bibury. Another quintessential English town, Bibury was named by famous textile designer William Morris as the most beautiful village tin England. Rows of elegant stone homes and business are set along the gentle river Coln (a tributary of the Thames) running through the area. It’s now a nature reserve however, at one time water from this stream was used in the wool industry. Bibury is also the scene of the most photographed houses in England. Arlington Row is collection of cottages that started life as wool stores many centuries ago and later converted to residential cottages. Many are still occupied today. There is a lot to see in this part of the Cotwolds. As previously mentioned, the absolute best way to see these villages is in your own car, (most likely hire car if you are a traveller). Gai and I were in this district at the height of the summer tourist season, so it was busy. There were a couple of places we drove into and desperately wanted to stop and look around, however, we simply could not find a car park within cooee of the place, so drove on. Another tip is plan you day around where you will have lunch. Most of these touristy places are choked with visitors around lunchtime, so try to avoid getting there at that time. Read more: Answering the age-old question: What do Scottish men wear under their kilts? Getting an early start to the day is great idea. We found the roads in UK generally very busy. Make sure you have a navigation system as it will prove invaluable. The British system works by each address having its unique postcode, while the French system works on coordinates, which meant that at times our French left-hand drive hire car didn’t take us exactly where we wanted to go. Finally, most trips are tight for time, so plan where you would like to go before you get there to get the maximum coverage. If you are one of the lucky ones you will have plenty of time to see everything you hope for. Been travelling and want to share your story? Travel at 60 is calling for submissions from over-60s travellers. Simply sign up as a contributor and submit your stories. When your story is published, you’ll go into the draw to win some great weekly prizes. You can also join the Travel at 60 Travel Lovers Club on Facebook to talk to other travellers in the Travel at 60 community.